Cacoo is a web application that allows you to create and collaborate on diagrams. 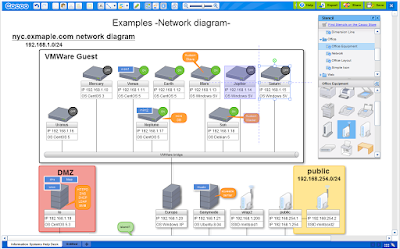 It offers some powerful drawing tools to use for drawing all kinds of diagrams including site maps, wire frames, flowcharts, network charts and many more. The great thing about Cacoo is that it supports real-time collaboration allowing you to work on the same diagram with various collaborators simultaneously. 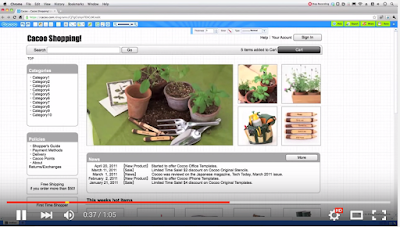 Multiple collaborators can edit a diagram in real-time. There is also a chat functionality integrated into Cacoo editor that enables users to get direct feedback from their team. Creating diagrams in Cacoo is only a matter of drag and drop from the stencil panel to the canvas. 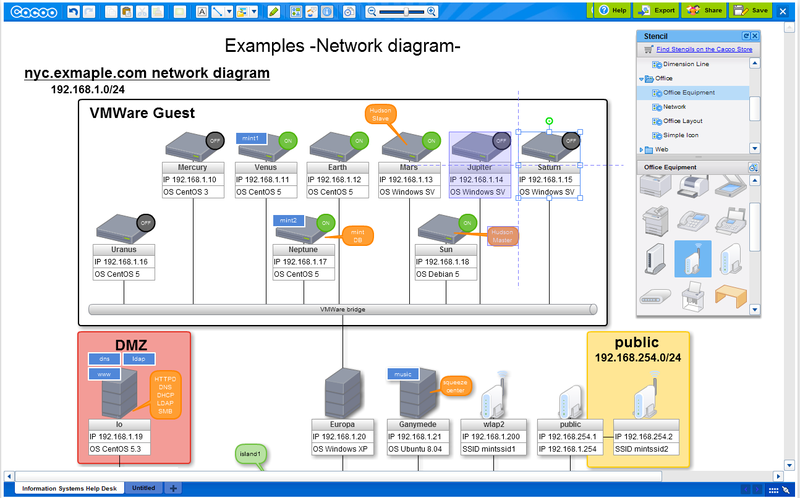 You can also use flexible connectors to connect objects together to create mind maps and flowcharts. Once your diagrams are ready, you can choose from the various sharing options: use an HTML code to embed your diagram in a blog or a website or export your diagram in various vector forms such as PNG, SVG, PDF or as presentation slides.